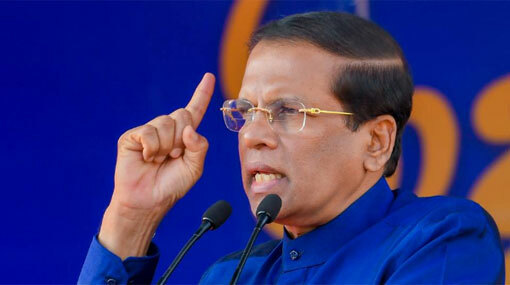 President Maithripala Sirisena says that he has signed the gazette to establish a Presidential Commission of Inquiry to investigate allegations of fraud and corruption in SriLankan Airlines and Mihin Lanka. “I signed the Gazette Notification appointing Presidential Commission to inquire into allegations of large scale frauds and malpractices in Sri Lankan Airlines and Mihin Lanka today,” he said. He stated that the Presidential Commission will be gazetted tonight. The President made the announcement during the UPFA election rally in Hettipola today (2). In December last year, President Maithripala Sirisena announced plans to appoint a Presidential Commission to investigate into the alleged abuse of state money and public property involving SriLankan Airlines and low-cost carrier Mihin Lanka. Without giving any details, the President said when he appoints the Presidential Commission more revelations would be made and many more corrupt politicians would be exposed.